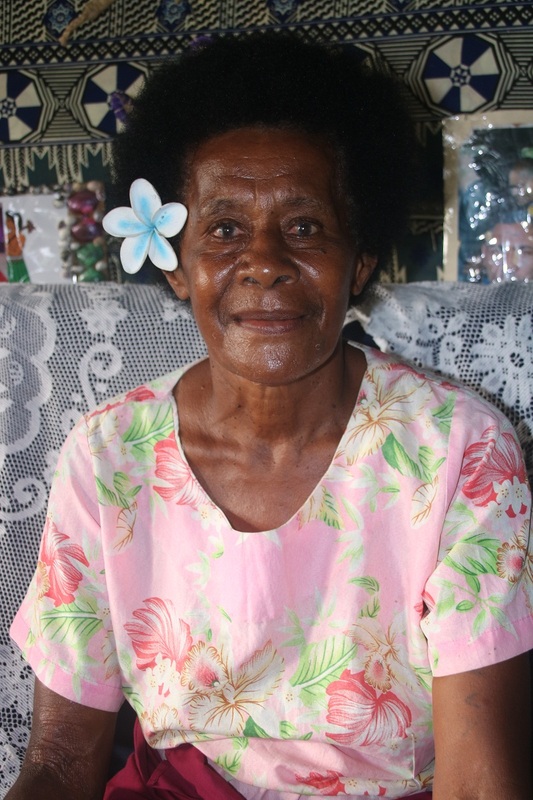 Asenaca Nawasoni of Naisisili village believes that setting up tabu zones around selected coastal fisheries sites can help restore the health of coastal community fisheries. Many of the villagers fish for their livelihoods and it is also a place where hotel and private owned boats ply the rich waters of the Yasawa’s to fish for Trevally, Wahoo, Rabbit Fish and Unicorn fish and other species in the mangrove fringed inlets. But amidst the hustle and bustle of life, Naisisili faces challenges that threaten its fisheries and way of life. For retired fisherwoman, 67 year old, Asenaca Nawasoni , fishing today takes much longer hours with fewer and smaller sized catches in terms of fish and mud crabs as compared to yesteryears. “It’s very difficult if you are a line fisher since you are competing with other fishermen who either use nets or spears; 30 years ago, our catch used to be bountiful with less fishing efforts, but now there are so many fishers and fewer places to catch mud crabs (lairo),”Nawasoni said. Naisisili is not alone. Fishing communities throughout the District of Nacula are facing similar challenges where overfishing, destruction of mangroves, pollution, and warming oceans as a result of climate change is contributing to the decline of thriving fish populations posing a threat to food security and marine biodiversity. “Our mangroves are under threat from being used for firewood ,” Nawasoni added. Nawasoni who now looks after her aged husband does not fish as regularly as she once did highlights that traditional knowledge can still play an important role in replenishing fish stock through the setting up of tabu zones. “I think within a year at least a 3 month tabu on a certain section of our qoliqoli should be placed and when that tabu is lifted, another area will be identified to undergo the same process, this to allow for fish to grow,” she said. The good news is that the Tikina of Nacula is taking constructive steps at community level to making their fisheries more sustainable through developing and enforcing their community fisheries management plans as well as replanting of mangroves amongst others. 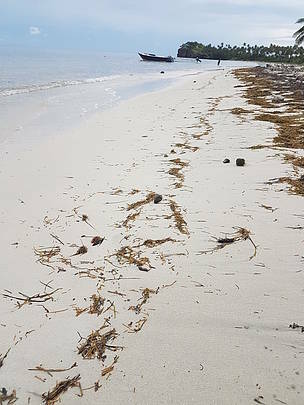 Apart from the setting up of tabus, Nawasoni believes that mangrove replanting and establishing tabu zones along their fishing grounds would help revive and support the health of Naisisili’ fisheries. 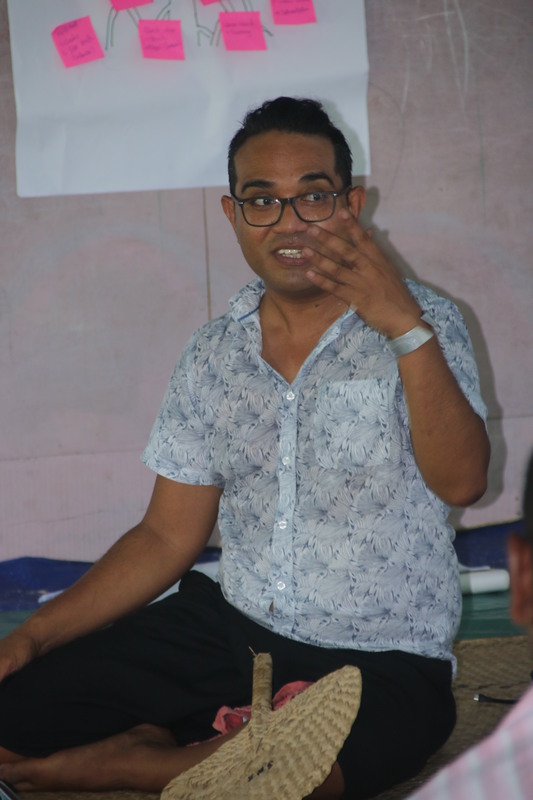 WWF-Pacific’s Great Sea Reef Programme Manager Alfred Ralifo highlights that getting fishermen and communities directly involved in the rehabilitation of their coastal fisheries is of critical importance. He adds that listening to experienced fishers like Nawasoni , provides an insight to understanding the changes that have taken place over the decades and how technical support from WWF can improve a communities capacity and resolve. 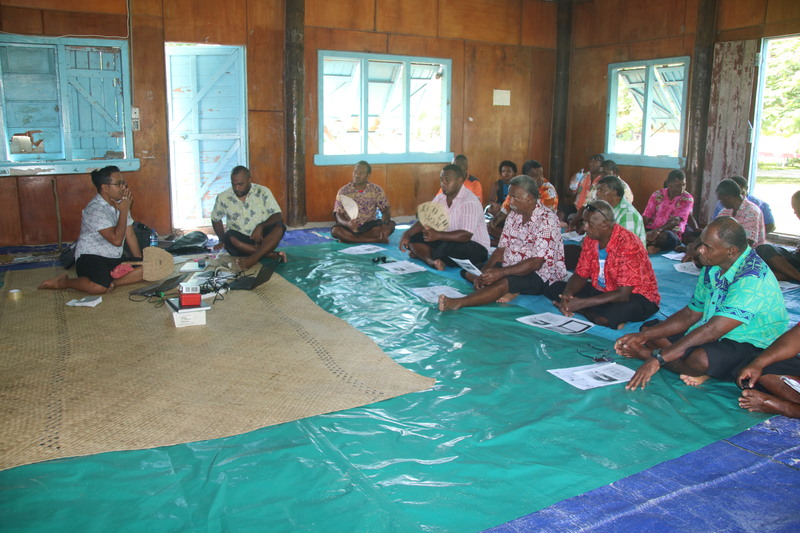 “By continuously engaging with coastal communities through effective partnerships and working together in identifying sustainable fishing practices, these can greatly improve fish stocks to sustainable levels,” Ralifo said. Naisisili's coastline in the Yasawa's. WWF-Pacific's Great Sea Reef Programme Manager Alfred Ralifo discusses the importance of having a mangrove ecosystem and the benefits it brings to coastal communities. 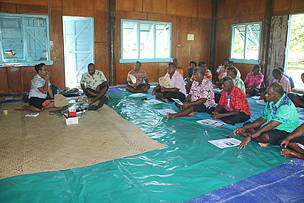 WWF-Pacific's Great Sea Reef Manager Alfred Ralifo works with community representatives of Nacula district.